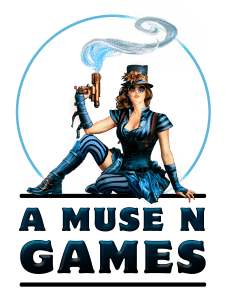 A Muse N Games will be at Game-itoba! We will be hosting tournaments for two games – 7 Wonders and Ticket to Ride: Around the World! Check out the tournament schedule below or the full schedule for Game-itoba. We will also be extending our KeyForge Launch Party to Game-itoba with demos of Richard Garfield’s latest game! Slot 8 – 7 Wonders Tournament where the final table will be played using the Armada Expansion which hasn’t yet been released. Come visit us at Game-Itoba and you can learn to play KeyForge and purchase a deck. Enter a world where anything is possible in KeyForge! In the center of the universe hangs the Crucible, an artificial world built from the pieces of countless planets. Here, in the world’s first Unique Deck Game, created by legendary designer Richard Garfield, two players step into the roles of mighty Archons, racing to forge keys that unlock the Crucible’s hidden Vaults. We will have demos and Archon Decks available for purchase so you can be among the first to try the new game!